Thanks to all the honors and certificates, we have become one of the companies that have achieved very good financial results, prompt development and are reliable business partners. We are fast and vigilant – which allows us to avoid many risks and dangers. We are very proud of every prize we have been granted. We find them as a reason for satisfaction, a symbol of the company’s good standing and confirmation that the company is not only a strong but also a transparent player with a well-established position on the Polish market. Every received award confirms our position among the most dynamically developing companies, the highest level of services and offers, and at the same time each of awards motivates us to work on further development of our company. We are proud that through self-development we are able to win a good position on the market. Getting titles and awards would not be possible without the work and commitment of all employees. These are not only an annual awards for us, but also a commitment and a promise to our customers, that we will do everything to maintain our position on the market. 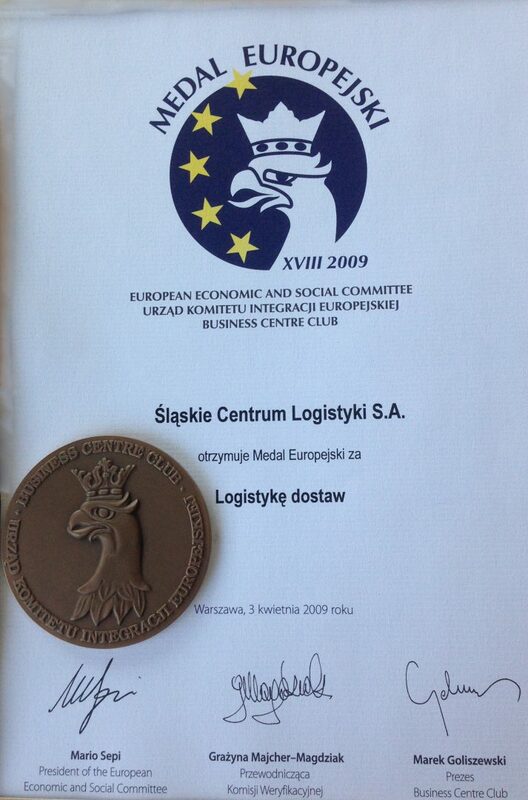 On 3rd April 2009 the Silesian Logistics Centre has been granted the European Medal for Supply Logistics, by the Committee for European Integration BCC Office. (Urząd Komisji Integracji Europejskiej). The European Medal is a non-commercial, nationwide project designed for supporting Polish products and services on the European Union market and introducing the idea of the European Union to the business community. The medal was awarded the LOGISTICS SUPPLY CHAIN SERVICES, which meets the European standards. This particular award is also a recommendation issued by the Committee for European Integration Office, the Business Center Club and one of the most important institutions in the European Union – the European Economic and Social Committee. In 2001 Silesian Logistics Centre was awarded the Medal of the Regional Chamber of Industry and Commerce in Gliwice, for special achievements in the fields of economy, regional development, introduction of new solutions and technologies. From April 2013, Śląskie Centrum Logistyki SA is a member of the Polish International Freight Forwarders Association, which brings together international and national freight forwarders, logistics, shipping, customs and other freight handlers. 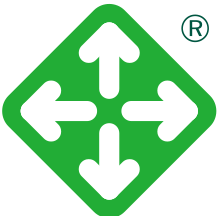 This Association is a member of the International Federation of Freight Forwarders Associations “FIATA” in Switzerland and a member of the European Association for Forwarding, Transport, Logistics and Customs Services “CLECAT” in Brussels. Silesian Logistics Centre has been checked and verified among the activities of forwarding companies. The company has received the TCF Forwarder’s Certificate, due to its outstanding performance of the provided services at the highest level and due to its longtime experience.